Alright, in my last post I asked which mini you wanted to see in an unboxing next. I got a few responses between this site, Facebook, and Reddit, and the results were unanimous. Everyone wanted Grim Ironjaw for the next unboxing. So… here we go! 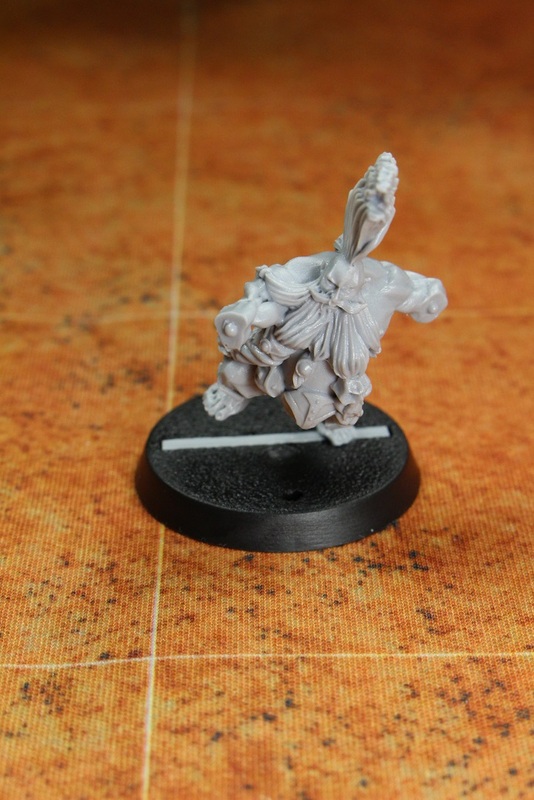 When the first images of the Grim Ironjaw were released, I read a lot of negative comments online about the mini. Honestly, I am not really sure what all people have against this mini. 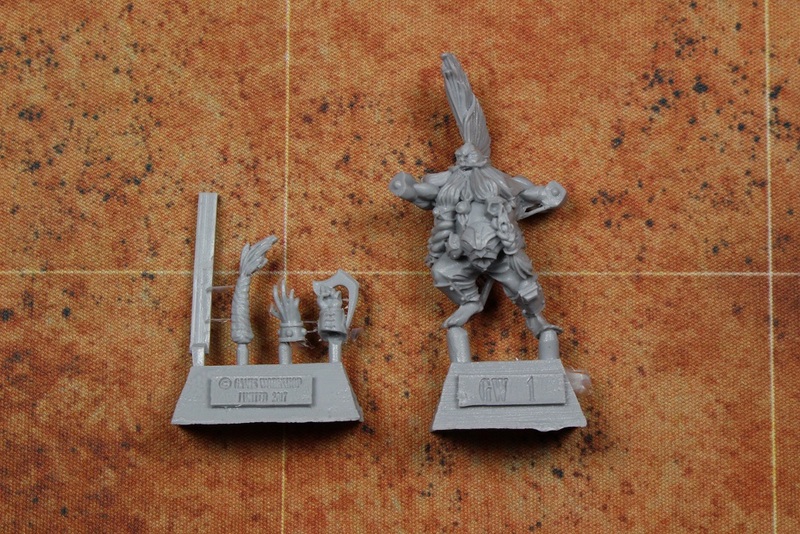 Other than the fact that it is yet another mini standing on one foot (seriously… does EVERY mini from Forge World have to be on one foot?! ), I really have no issue with the new Grim. I might even say that I like him. He is definitely a different style than the last Grim Ironjaw, but he fits the new style of the game quite well. Time to dig in and take a look. Front and back views of the package. Here are the obligatory shots of the insert. 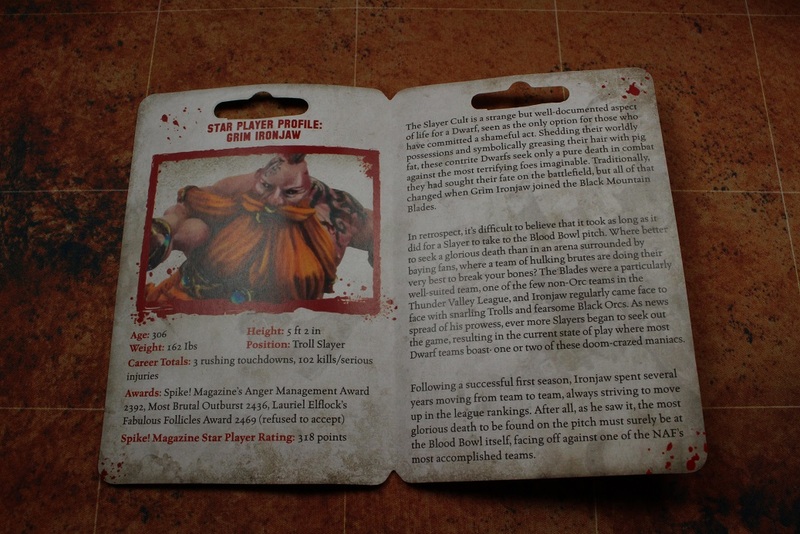 As with the other Star Players, the insert opens up to lots of good fluff about Grim. It is always worth taking a few minutes to read up on your Star Players. The back of the insert, as always, has assembly instructions. 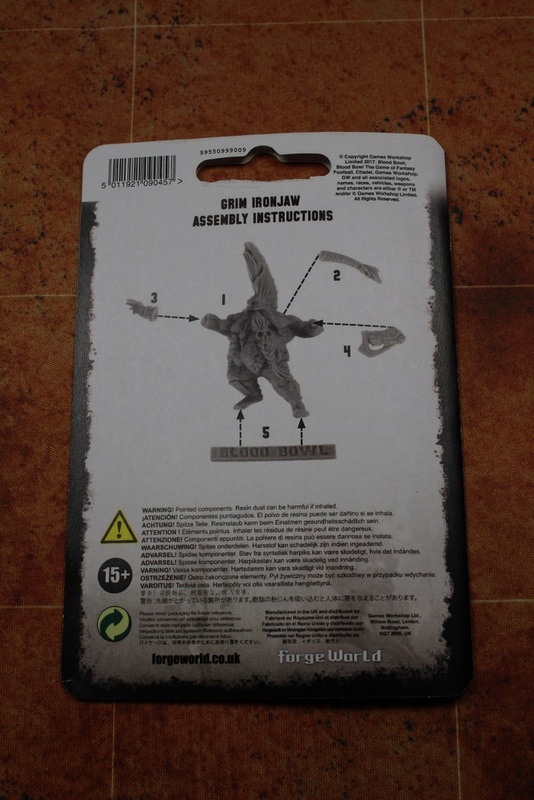 At only five pieces, Grim is, by far, the least complex Star Player released by Forge World so far. But… what is that piece listed as number 5? …More on that in a minute. 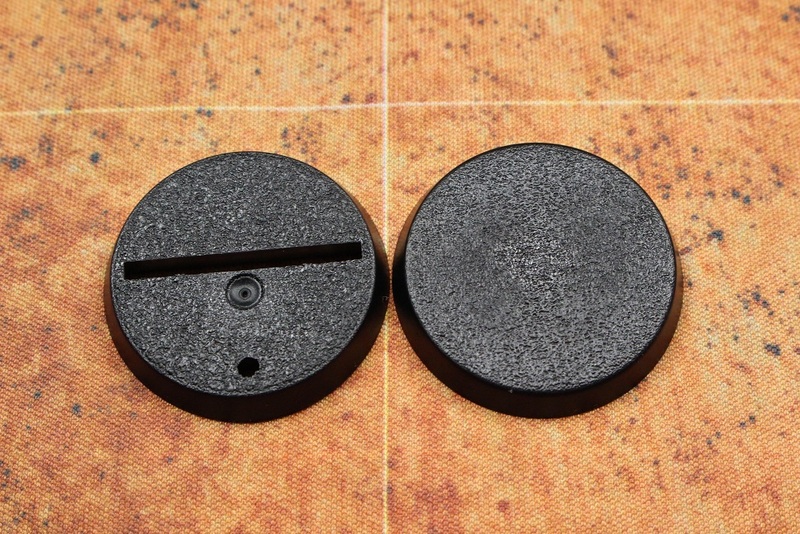 Again, as with every other Star Player from Forge World, we get both a standard base, and a slotted base. I decided to stick to the using the base tab. At this point I kind of figured it could not hurt to use it. While drilling the top of the base tab, my bit slipped slightly and you can see where it broke through the front of the tab. I did not worry about that as once the tab was inserted into the base, the base itself would prevent the pin from sliding out of the tab. Luckily Grim’s foot was angled in such a way that I was able to embed the pin fairly deep into his ankle for added strength. Here Grim is attached to his base. Only three more pieces to go. Next up is his pony tail braid. 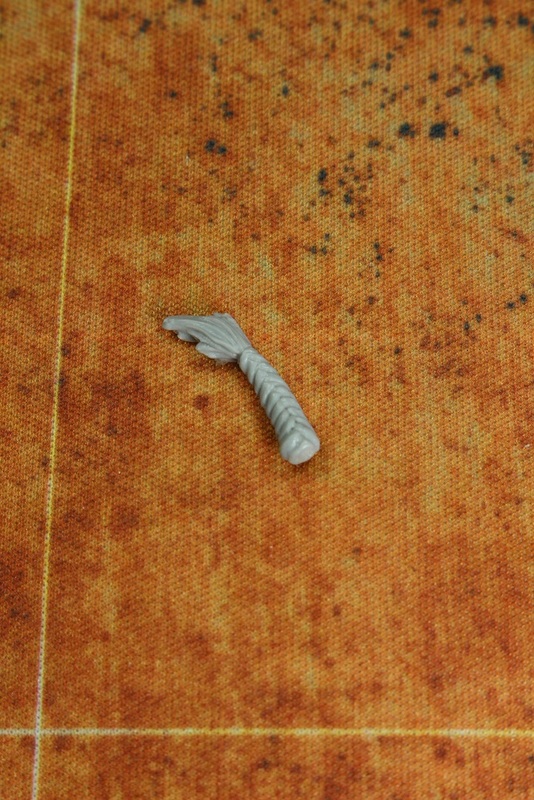 Unfortunately, I was not careful enough trimming the braid off of the sprue, and I did not leave enough of a nub on the end to seat into the small hole on the back of his head. 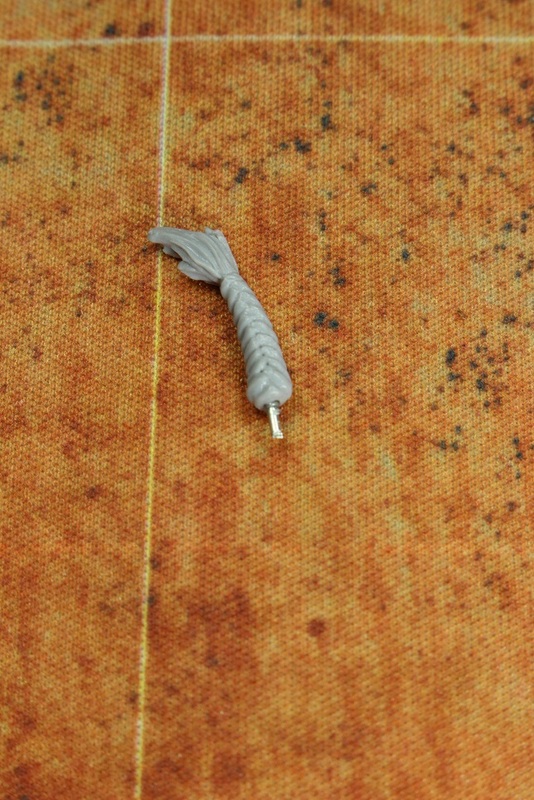 Looks like I will have to pin another piece on this mini. Pinning the braid was easy enough. The braid itself had more than enough thickness to hold the pin, and the attachment point on his head already had a small hole. All I needed to do was drill one small hole, and slightly enlarge another. No sweat. And just like that, the braid is attached. Over halfway done. One hand down, one hand to go. And just like that, we are done. Other than the weirdness with the base tab (what the heck is up with that?) this mini went together pretty easily. I honestly have no real assembly complaints on this one. Here are a couple more angles on the mini. Lets do a quick size comparison. 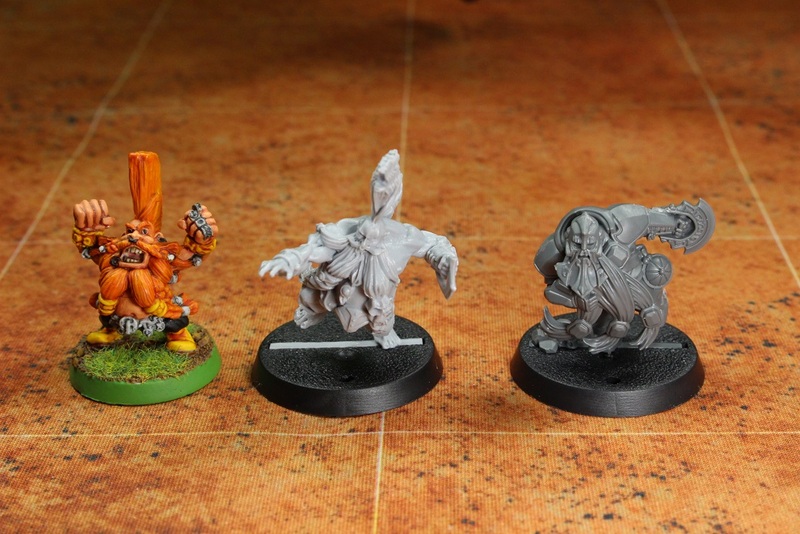 Here is Grim next to a boxed set Blitzer, and a 3rd edition Grim Ironjaw. 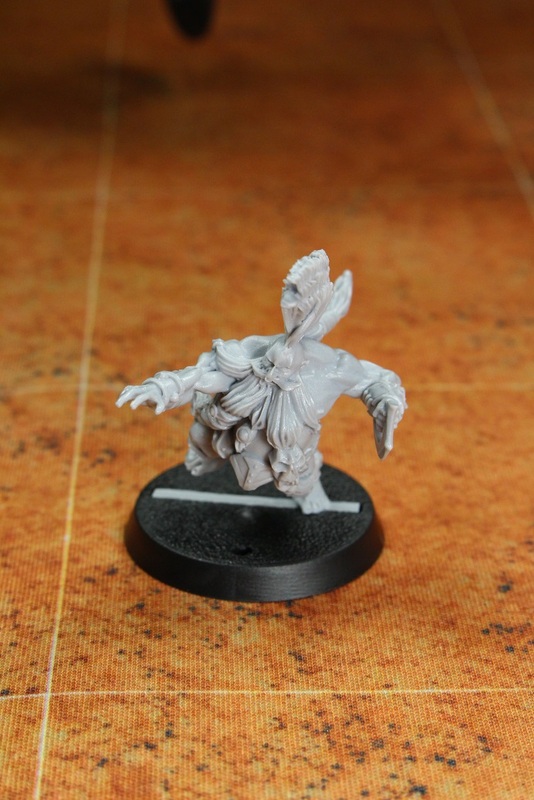 His one footed lurching pose not withstanding, he is pretty much the same size as the 3rd edition Grim. Maybe just slightly larger. The main difference is that he is much more “realistic” scale as to his proportions. My final verdict on the new Grim Ironjaw is a positive one. I genuinely like the mini. 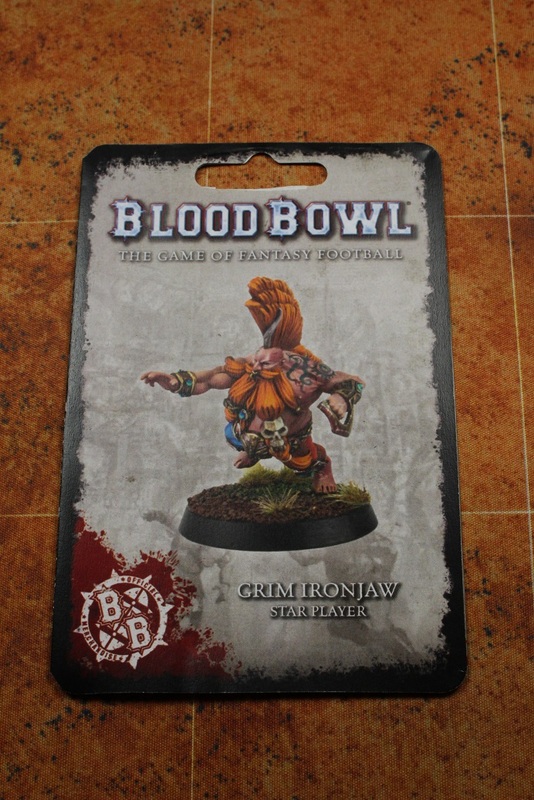 It is not the best Blood Bowl mini I have ever seen, but if you like the style of the newer releases, this Grim Ironjaw is a very good mini to add to your collection. 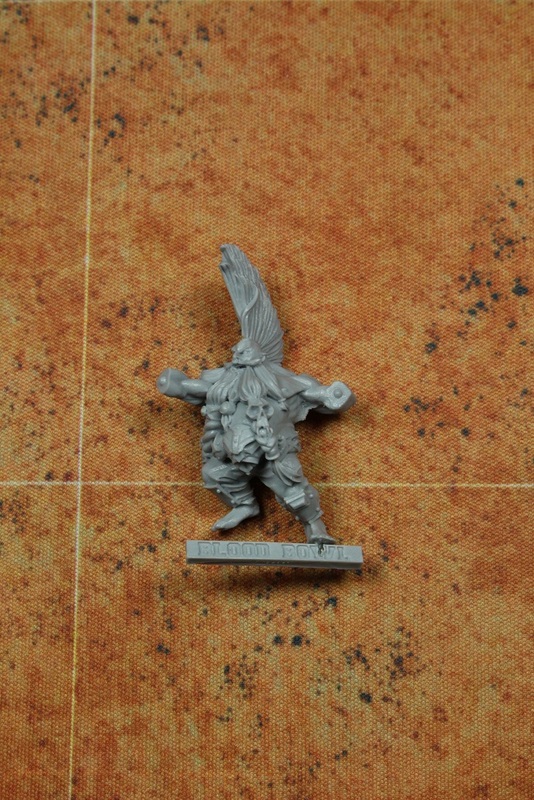 Next up will be the White Dwarf/Black Gobbo combo. Check back soon! 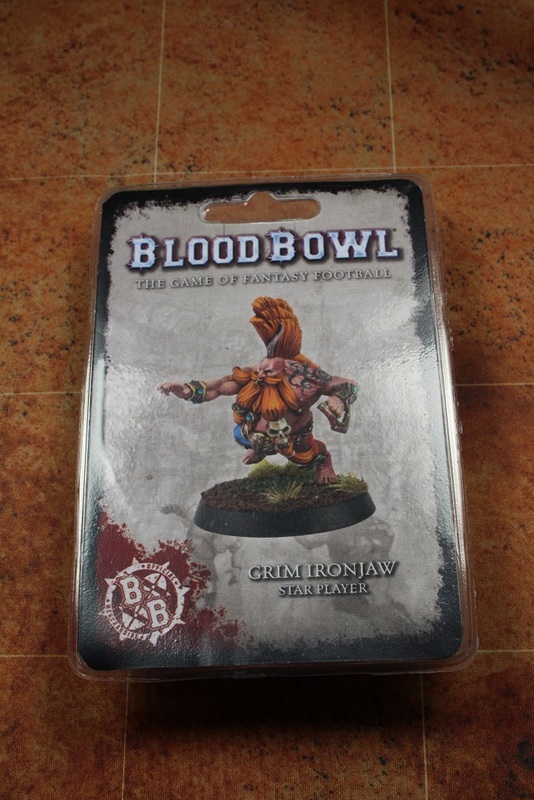 This entry was posted in Blood Bowl, Gaming and tagged Blood Bowl, Forge World, Forgeworld, Games Workshop, gaming, Grim Ironjaw, Miniatures, Star Players, table-top games, tabletop wargames, wargames, Wargaming by Mike C. Bookmark the permalink. He looks pretty good. 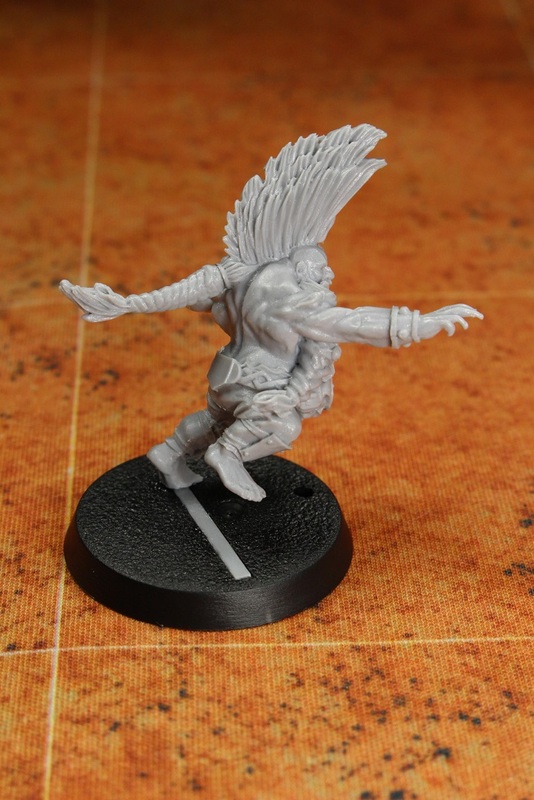 I like the large Mohawk and it’s nice that they didn’t make him yet another leaping troll-slayer. I’m definitely not crazy about that 3e version of Grim. 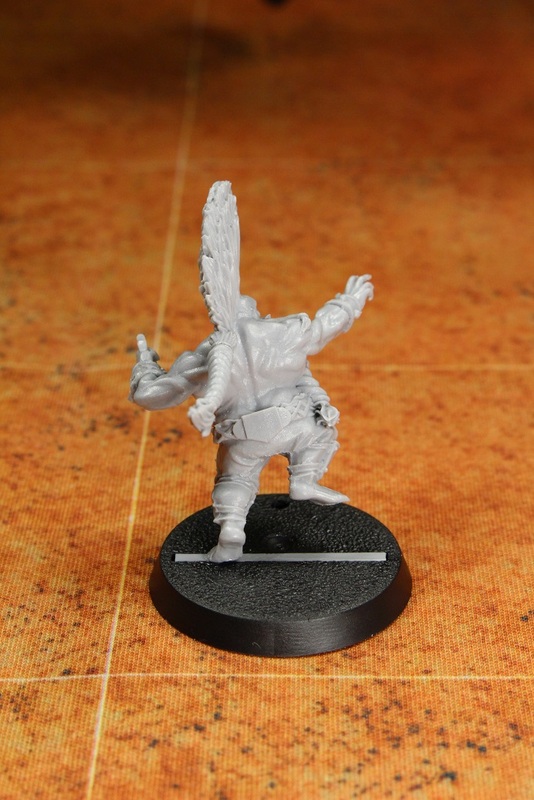 My ni picks for the new Grim are, price, the ponytail, and that weird looking thing in his hand. Reminds of when I was converting Ogre Bills for BB. There was some piece in one of their hands and after I got done converting it ended up looking something like that. I guess like the Blitzer, it’s a stylized take on the same kinda fist weapon you see on 3rd Ed. 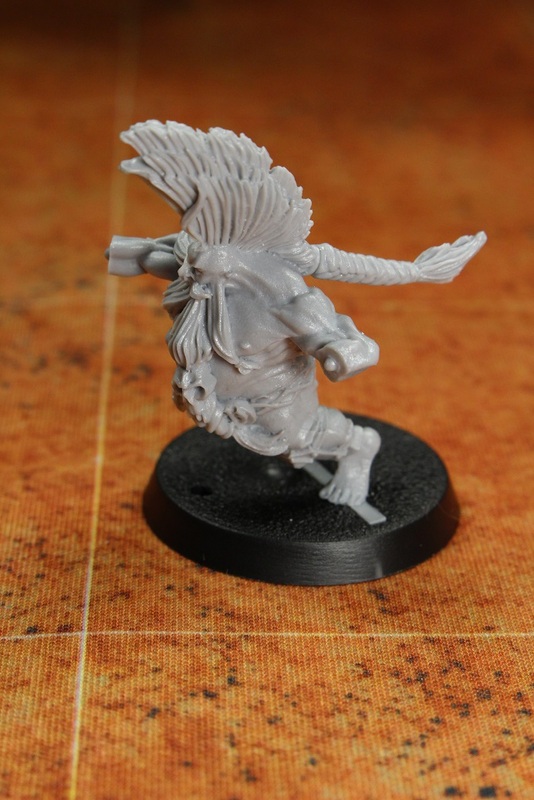 Chaos Beastmen? Yeah, I would say that it is a modernized version of the “knuckle dusters” that were fairly prevalent in 3rd edition minis. The Chaos Beastmen have a spiked gauntlet or a studded gauntlet. Both are really similar to some medieval or gladiatorial weapons. I guess to me, Grim’s weapon looks a bit too fantastical, maybe too elf-like. Yea, it’s silly, but that’s why I said it’s just a nit-pick for me. I get that. 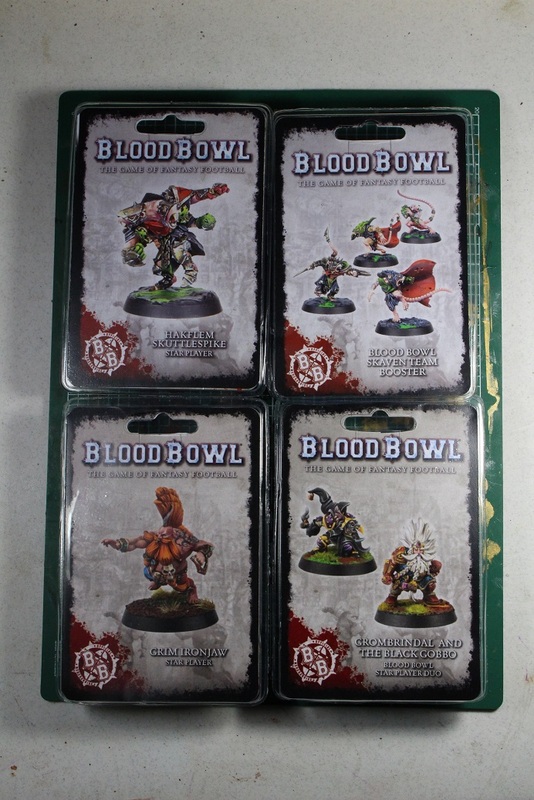 The 3rd edition minis have LOTS of examples of similar things. Morg has his mail fist, with added giant punch dagger, Black Orcs have their chain wrapped fists, Jordell has his giant punch dagger… they really are everywhere. This is just the next evolution… even if it is a little bit on the weird side. I really like the mini. But the tab really puzzles me? Why afix to a tab when you can just glue straight to the base. Yeah, it was definitely strange. 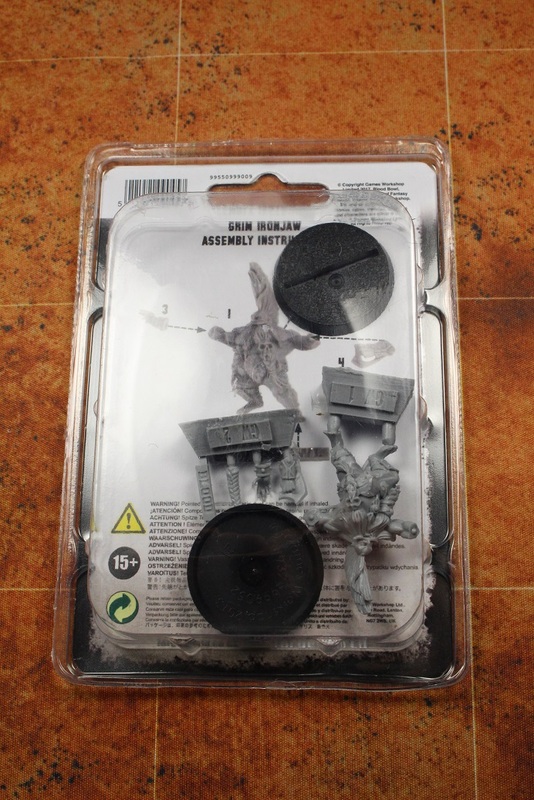 I used it because I wanted to test it out as it was something I had never seen before, and I had lots of experience with just gluing the minis straight to bases. 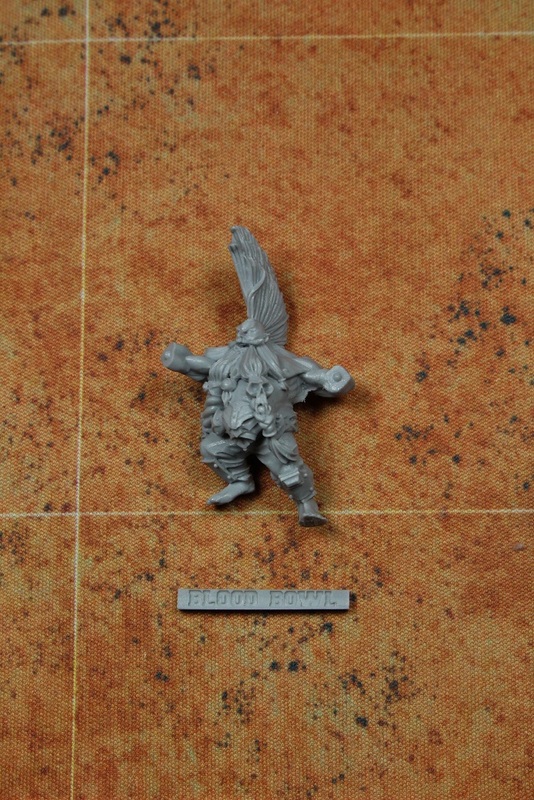 Though it means another one-foot-on-the-ground mini, his pose mits the more dynamic 5th ed Dwarf team much better than the old stand-and-roar model! Overall a solid model, lots of little details that’ll make it easy to paint for a wash-loving noob or a fine details pro. 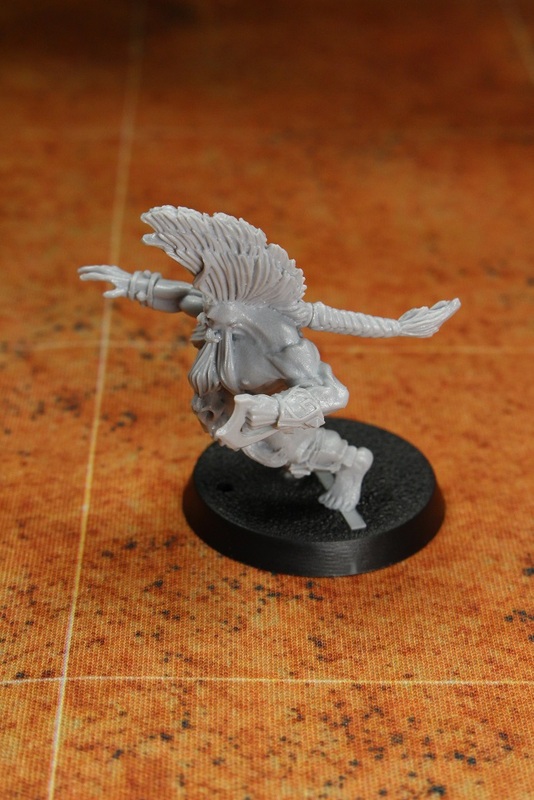 It is a more dynamic pose, for sure. 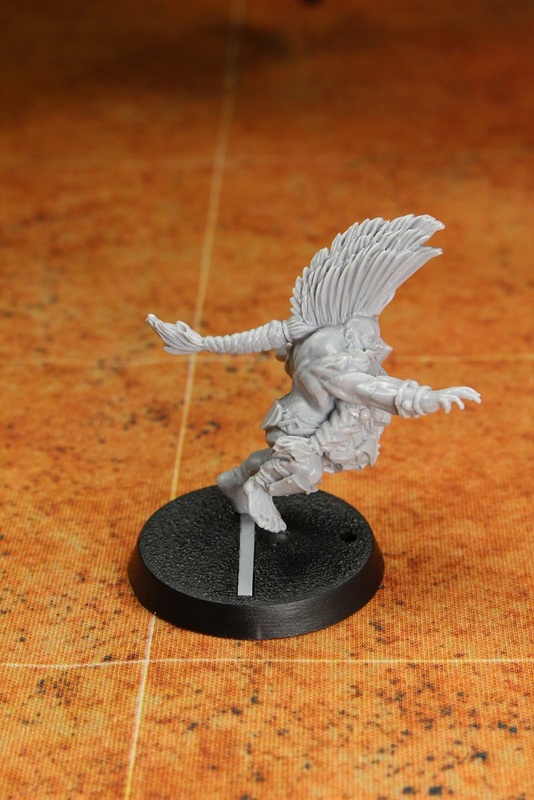 I just wish once or twice they could manage a “dynamic” pose that involved having both feet on the ground. My reasons are purely practical as two feet touching the base means more stability. Man… those Pro Elf Catchers were a REAL pain. Especially after the base tabs broke off. I never tracked down the Pro Elves, but I can imagine. I think the one I was struggling with might have been a Jordell Freshbreeze or Hubris Rakarth. Both look precariously balanced on one foot.